About 18 months ago, Haji Ismail, an elderly government official in southeastern Afghanistan, received a letter from an old friend. 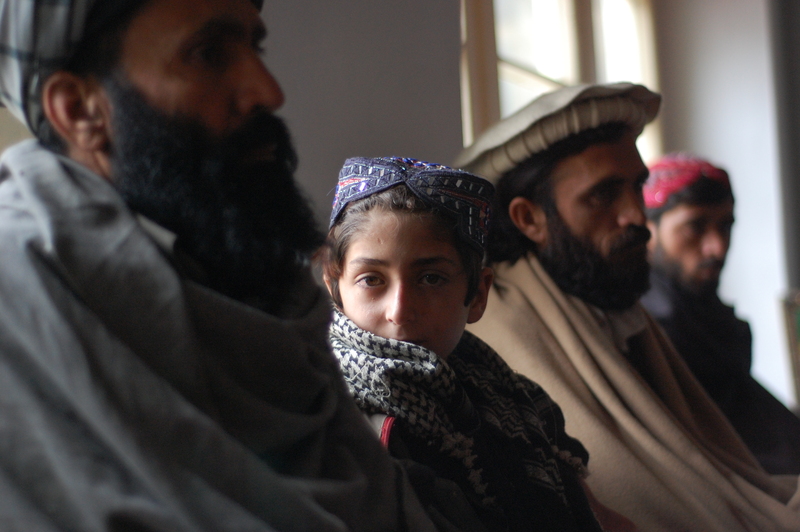 “Whether this peace process, which our elders are discussing with the government, succeeds or fails,” it read, “I want to come in.” It was signed, with a blue-ink ballpoint pen, by Maulawi Sangeen — one of the Taliban’s most dangerous battlefield captains and a deputy to veteran jihadist Jalaluddin Haqqani himself. Not only was the erstwhile implacable jihadist seeking peace terms; he was also, if Ismail understood correctly, offering the release of the only U.S. soldier in Taliban captivity as part of the deal. “We have something that belongs to the Americans,” the letter said. “It is safe. And we will talk about this as well.” The letter was written on a Taliban letterhead and was drafted in a faltering Pashto script. It was political dynamite. The only problem with Ismail’s story is that it was also, according to analysts, an elaborate lie — part of “a long tradition” in Afghanistan of political fakery. “I don’t see how you can reach any conclusion other than it’s a wheeze by Ismail to persuade someone to give him more money,” says Michael Semple, an academic and leading expert on the Taliban. Ismail insists the letter is genuine. “I don’t lie,” he told TIME. “If I’m lying, then punish me, stone me.” But others analysts concur with Semple, arguing that the last thing any senior insurgent trying to defect would do is provide signed evidence of his intentions to a garrulous local official. Instead, they reckon Ismail was trying to net a share of the $139 million committed by donors to the Afghanistan Peace and Reintegration Program (APRP) — his letter materialized shortly after donors announced their pledges at the 2010 London conference. APRP is a high-profile scheme aimed at wooing Taliban insurgents back into the fold by supporting ex-combatants and their host communities with material help. Many observers fear, however, that the larger part of the $139 million will simply disappear into Afghanistan’s patronage machine. Concerns over the state of reconciliation efforts have been amplified by last week’s assassination of Burhanuddin Rabbani, the government’s designated negotiator with the Taliban. Although his High Peace Council has recorded little tangible progress either in talks with the Taliban leadership or in grassroots efforts to reintegrate the movement’s rank-and-file fighters, the running costs for its joint secretariat stood at $2.3 million as of June 30, while a further $1.5 million had gone to APRP cells within government ministries. By contrast, spending on reintegrating former Taliban fighters stood at $150,000. In gloomy guesthouses across Afghanistan, you can find the collateral damage of this slow, deliberate approach. One afternoon in the southeastern city of Khost, TIME stumbles on three brothers pining for their days with the Pakistani Taliban. “Life was good,” says Nikzuman, a slight 22-year-old with high cheekbones, an engaging smile and wistfulness beyond his years. “Among the militants we had pickups, weapons, enough money, everything … But when we reintegrated with the Afghan government, we lost everything.” The brothers can’t return to the property their parents abandoned during the Soviet invasion of the 1980s for fear their neighbors will sell them out to the Taliban — who have threatened to kill them. So, jobless and outcast, they live on the graces of a family friend. “Other fighters — our former comrades — have called us to ask if the government’s providing any resources,” Nikzuman explains. “And if so, they say they’ll come over. We say: ‘Don’t bother.’ I get a call once or twice a month like that, from commanders of a hundred or 200 men.” He pulls his woolen cloak tighter and leans back into the gathering shadows, settling in for the night.